What? 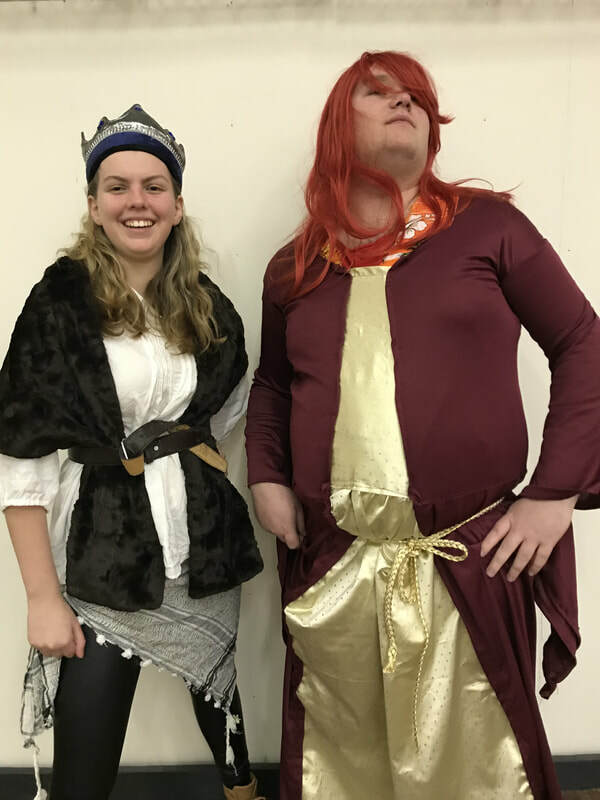 A mixed group of XtrAct students from various classes will be performing a pantomime. 11th - 16th Danielle at Adelaide Fringe. subs taking classes. What are the students up to? Congratulations to Anthony Wall, Rachel Phillis and Amy Seaborn for their casting in the actors working group with Jopuka Productions. We can't wait to see the fresh new work you'll be working on when it features later this year. Congratulations to Jacinta Rose Burley for her acceptance into Hunter Performing Arts School. Congratulations to James Kampas for landing the leading in Wyong Musical Theatre Company's 'Rock of Ages'. We can't wait to come and see you strut your stuff. Congratulations to all of our XtrActors who survived the 2017 HSC. We can't wait to hear about your future endavours. Congratulations to elite XtrActor's Tayah Blackman and Anthony Wall on being nominated and succesfully appointed at Youth Board Member and General Board Member of Jopuka Productions at their last AGM. I am so proud to be able to work with you in this capacity. Congratulations to Charlotte Cooke on being awarded the Inaugural position of Emerging Artist on the Board of Jopuka Productions. Charlotte's experience last year at Jopuka on stage and volunteering behind the scenes on every show certainly showed the previous board how dedicated, motivated and talented she is. Her first mentorship will be directing a short play with our elite XtrAct Performance Group for an April Performance. XtrAct Performance Group 2017 and 2018 caught up on Monday 22nd at Indigoes in Mingara for a pre-course social. Former XtrAct Madi Parker is having an absolute ball working over in Florida at Disney World. Gabrielle Graham Hayes and Chelsea Thompson set off mid-year to teach at American summer camps. From all reports they had an absolute blast. 2016 Tuggerah Lakes Learning Community Leadership Conference was a blast as usual. I was again invited back to run a workshop on Effective Communication. Very excited to be involved in the birth of a new Youth Theatre Company on the Central Coast. This company will act as a fantastic training ground for young Central Coast actors, writers, directors, technicians, stage managers. I was lucky enough to direct our first production, Cosi, by Louis Nowra, which was well received in the local community. At the moment I'm mentoring the director and training up some some of our talented girls in the demands of stage management for our next production, Hating Alison Ashley which is on from February 24th - March 4th 2017. XtrActor Charlotte Cooke starring in Jopuka Productions 'Hating Alison Ashley' at The Art House, Wyong 2017. In addition to our classes, participating in amateur theatre like this is a fantastic experience for the kids. Plus they make some wonderful friends along the way.